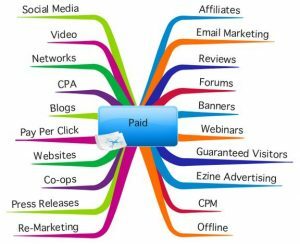 There are many different opportunities to advertise online. Some people wonder why they should opt into paid advertising when there are so many free resources. For some businesses paid advertising may be a better choice. It may also be more effective. A lot of times the results with paid advertising are much faster. This is one of the most common forms of advertising on the internet. That comes with a cost. As the name suggests the client pays a certain amount of money everytime an individual clicks on the ad copy. The cost is going to depend on many factors. There are a lot of different options that come with PPC advertising. One has to have a set budget in mind. Stopping the advertising campaign too soon can end up in money wasted. At the same time the progress of the paid ads has to be followed carefully. If it is not generating a ROI in a reasonable amount of time then the ad may be ineffective. The pricing on this type of paid advertising is based on the number of impressions. It is usually sold in blocks of 1,000. The impression relates to how many times a particular ad is displayed or the impression it is making on the prospect. It is a misconception to think that this type of advertising is going to bring in large amounts of traffic in a short period of time. Another consideration for paid advertising is to find related businesses that would be willing to let you advertise on their site for a small fee. Some companies are now doing exchanges. Meaning they will advertise on each other’s sites as a tradeoff. This can be effective if both sites are getting good traffic. For those that are going to enter into paid advertising the proper expectations must be placed on the campaign being run. Also, a budget should be applied.